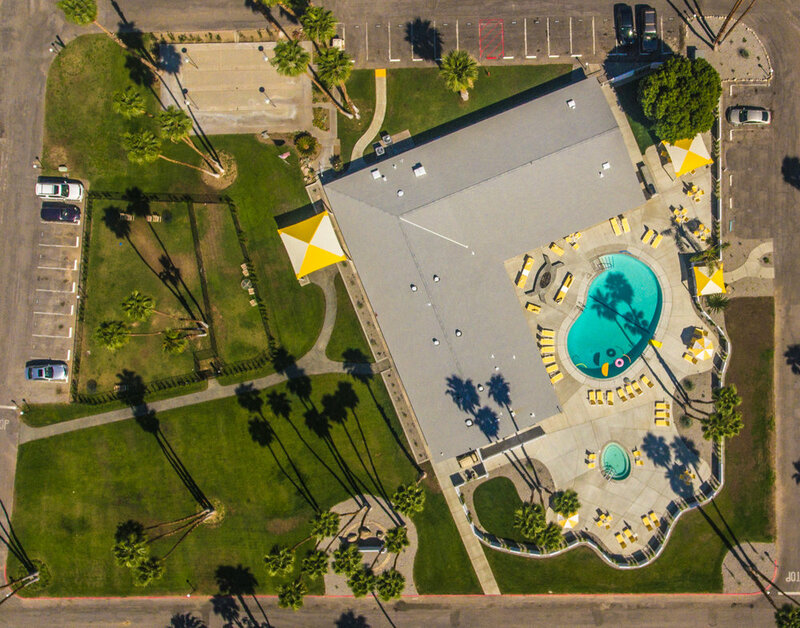 Each new home at the Palm Canyon Mobile Club has been designed to make life living in a smaller home, comfortable and easy: less time cleaning, lower utility bills, and the convenience of new construction- giving you more time to do what you love rather then caring for your home. Each detail has been carefully thought of, and meticulously placed right where you want it to be. Designed to be enjoyed to suit all your needs for convenience and privacy. A front porch is the perfect place to enjoy an evening cocktail and socialize with friends and neighbors. No hallways or wasted space, with every inch maximized for your comfort. All the convenience of Plan 1, plus the addition of a guest bedroom and separate bathroom, located on the opposite ends of the home, to provide the ultimate privacy. Clerestory windows are added throughout bringing in the Palm Springs sunshine. A large covered front porch welcomes you home. 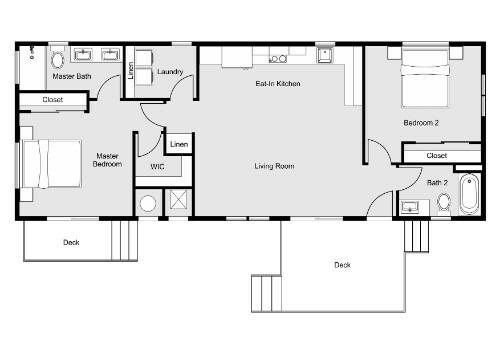 Our largest floor plan featuring an open concept great room. A wall of windows welcomes the California sunshine. A separate laundry room is an added bonus. Drawings are not to scale and may vary from actual homes built. Private renovated clubhouse for entertaining, lounging and large social meetings. Spacious dog parks with separate area for smaller dogs. Contemporary architectural design, featuring clean elegant lines. Sun-filled floor plans provided by multiple windows in each room. Windowed - 7 foot front doors allow more light in.